Eyelash extensions are used to enhance the appearance of your eyelashes, making them darker, fuller, thicker, curlier, and/or longer than your natural lashes. The semi-permanent extensions can be made of mink, horse hair, or synthetic materials and are applied individually with glue. Most clients can expect to see their eyelash appearance improve, normally 30-50% thicker and 20-50% longer. Lash extensions are applied to each individual eyelash using adhesive. The first treatment (a full set) takes about 2 hours. Touch-up appoints (fill) take about an hour. Removal only take 15 minutes. We recommend touch ups every 2-3 weeks. 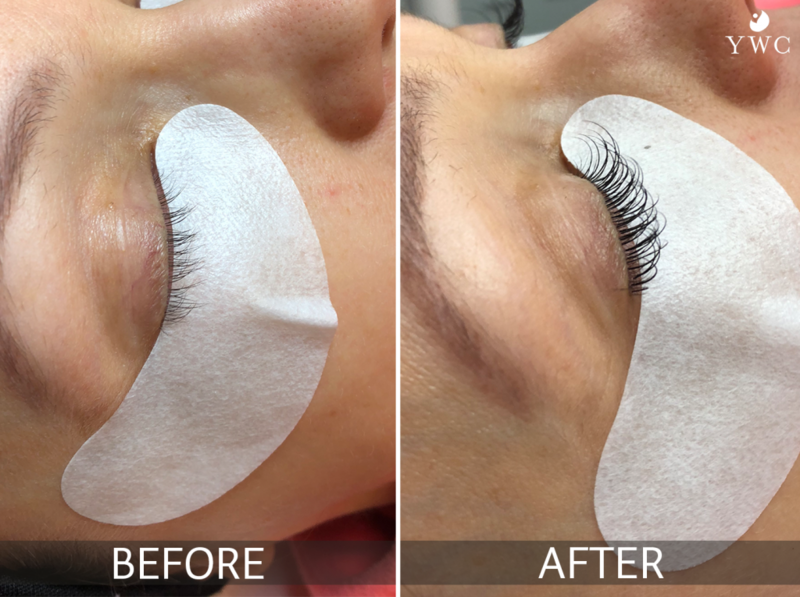 Extensions will typically last 6-8 weeks, but due to your natural lash growth cycle, you will need touch-ups every couple of weeks to maintain fullness. Our licensed cosmetologist and esthetician will work with you to determine how often you will need refills. Do not rub your eye area. Do not use oil-based products, including makeup remover or cleanser. Do not use waterproof mascara (we encourage no mascara). Wash with lukewarm, plain water. Cleanse and brush lashes daily with warm water and provided brusher. Avoid water 12-24 hours after application or touch-up. Do NOT try to remove extensions yourself, as that can damage your natural lashes. This includes picking or peeling a loose lash. You will be able to see a noticeable difference immediately following treatment. For more information, please see the “Lash extension take home instructions” form in the box to the right. Our licensed cosmetologist and esthetician will work with you to minimize discomfort and/or side effects. Lash extensions are a great option for men and women with short, brittle, light-colored, or sparse natural lashes. They are also used to enhance natural lashes.